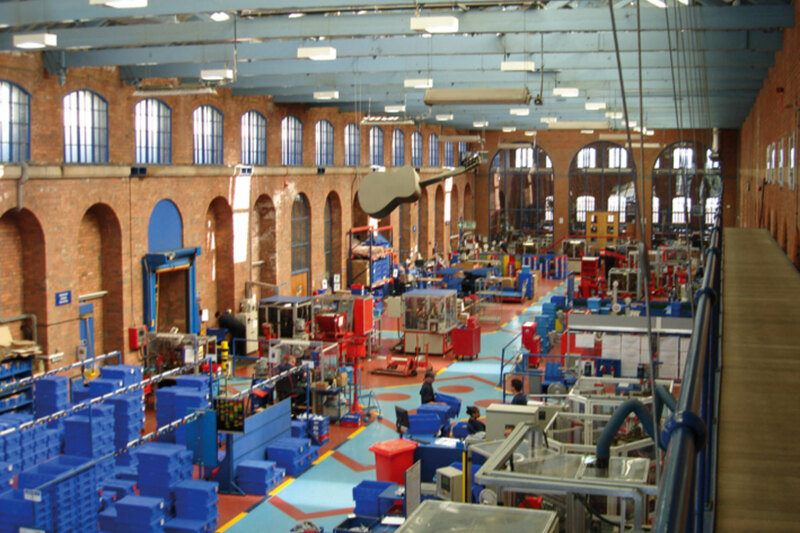 The successful launch in 1988 of a wire joining and tensioning device called a Gripple not only gave the company producing it its name, but also provided the impetus for employee ownership. The award-winning Sheffield company has since developed over 6,500 products for agricultural fencing, trellising and anchoring and more recently, hanger systems for installing mechanical and electrical services, seismic bracing and geo-synthetic turf mat anchors. Its overseas operations include facilities in New Delhi, Obernai near Strasbourg and Aurora near Chicago. It was back in 1992, having sold one company, giving 10% of the proceeds to its staff, Gripple’s founder and Chair, Hugh Facey MBE, wanted to ensure that the workforce of his new firm also enjoyed some of the financial benefits by encouraging them to take a stake in the business. Rather than give them equity, he invited employees to purchase non-voting shares. Around 58% of the initial 20-strong workforce bought shares. Now, 100% of the employees, who number 460, own equity in the business. To ensure employee share ownership remains high, since 2004 new employees have been required to buy £1,000 worth of shares within one year of joining the firm. The firm offers loans at the prevailing Bank of England rate to enable employees to purchase equity. The share price is generated by profits. Shares that in 1994 cost £1 are now worth more than £21. A third of all post-tax profits are paid as dividends. An internal market operates for the buying and selling of Gripple shares, meaning equity remains in the business when an employee leaves or wants to sell some of their shareholding. Historically, a share committee, consisting of the company chair, a second director and the company secretary, oversee the internal share dealings. The company has set aside a pool of money to buy and sell shares and intends to purchase all unwanted shares, though there is no guarantee. If shares are available, employees can purchase them. In 2014, the share dealing process was transferred into an employee owned company called GLIDE, an acronym of Growth Led Innovation Driven Employee Company Limited. GLIDE is run by a board of representatives elected by their fellow working colleagues. Each member in GLIDE has one vote, irrespective of how many shares an individual may have bought. GLIDE now has 7 main associate companies: Gripple Ltd, Gripple Sarl, Gripple Inc, Gripple India, Loadhog Ltd, PMS Diecasting and Go-Tools. Innovation is at the heart of the culture at Gripple and employee ownership is seen as the best way of encouraging creativity. There is a flat management structure and no formal job descriptions. All employees are expected to work as a team and there are regular communication meetings, including daily shift meetings and team briefings. Hugh Facey plans to apportion a percentage of his shares into a foundation to ensure the continuity of the business and other businesses that it is currently spawning. The formation of GLIDE means that the business can never be sold. To survive it needs to grow organically and through innovation. Minimum targets to achieve are: annual growth of 10% and new products that are less than 4 years old, to contribute 25% of annual turnover.